Tired of trying to block out your dogs snoring? Like people, dogs sometimes snore and just like people, it can be quite annoying having to listen to it. 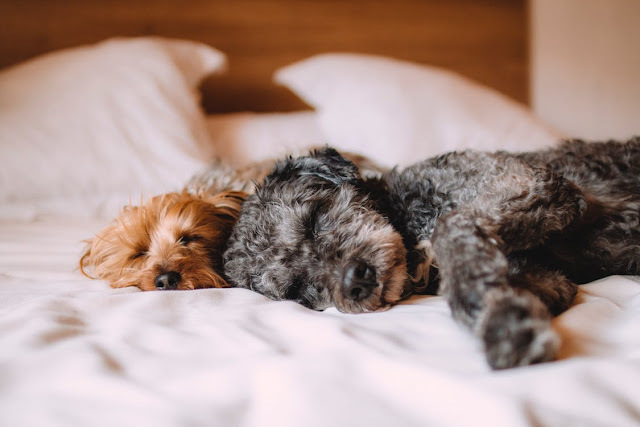 Through this article we explain the main reasons your fur-friend is probably snoring along with some tips to help decrease their snoring efforts. Does your dog sleep on their back? If so they are more likely to end up snoring. Approximately 5-10% of dogs sleep with their bellies up, and it’s a position that’s associated with snoring in dogs and humans alike. When dogs lie on their back to sleep the base of their tongue can fall back into their throat, blocking air from getting into their passageways. Any amount of restricted airflow can cause snoring in dogs, and some breeds are more susceptible than others. Dogs with short noses (brachycephalic breeds) such as Pugs, Bulldogs & Boston Terriers are more prone to snoring than other dogs due to their short air passage. Their upper respiratory anatomy is abnormally short, which can frequently lead to airway obstructions. Being overweight is one of the common causes for snoring in humans, and it’s true for dogs too. Extra weight leads to extra tissue, and any extra tissue around the nose and throat can narrow their airway, leading to restricted air flow and snoring. Need another reason to stop smoking? Just like with humans, secondhand smoke can cause respiratory issues and snoring in dogs by irritating the lungs and airways. Secondhand smoke can damage your dog’s respiratory system, leading to bronchitis, asthma and snoring. Attempt to alter your dog’s sleeping posture or their bed or bedding. An elevated head might reduce snoring, so giving your dog a pillow might help. Keep your dog on a regular exercise regimen so they’ll maintain proper weight. If your fur-friend is already overweight it’s a good idea to watch how much you feed them and to ensure enough exercise, not just for snoring sake. If your dog’s snoring is caused by allergens, clean their bedding daily. Time outdoor walks for when the pollen levels and auto traffic is low. Run the vacuum cleaner on a regular basis and eliminate dust in rugs and curtains. It could also be beneficial to find out what it is that your pup is allergic to. A tad bit obvious but, don’t smoke around your dog. Try, where possible, to maintain a smoke-free household and ensure your fur-friend isn’t around when you need to take a smoke break. Just remember that snoring is a symptom, not an illness. 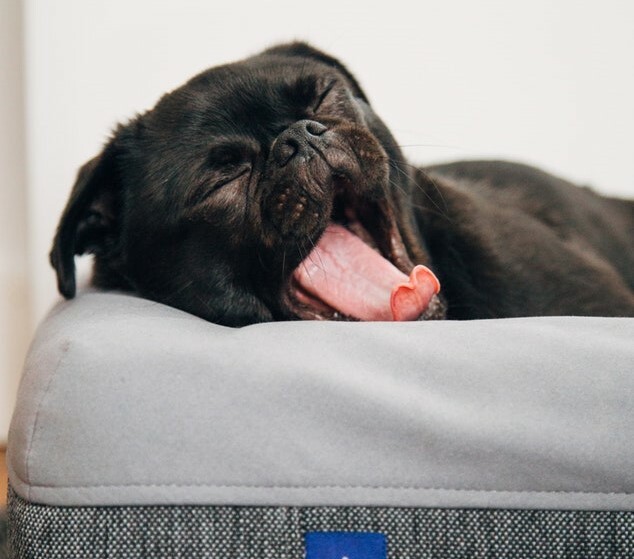 If your dog has only suddenly started snoring, or if they’re experiencing interrupted sleep have them checked out by your veterinarian to rule out any underlying medical issues. 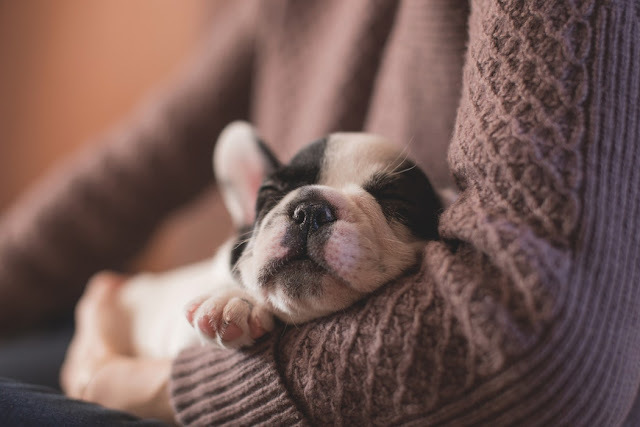 However, if your pup is just the snoring type, we hope this article has helped you out!